The Phoenix at Tucker specializes in caring for seniors who experience Alzheimer’s and the many forms of dementia. We understand the toll memory loss can take on families as well. 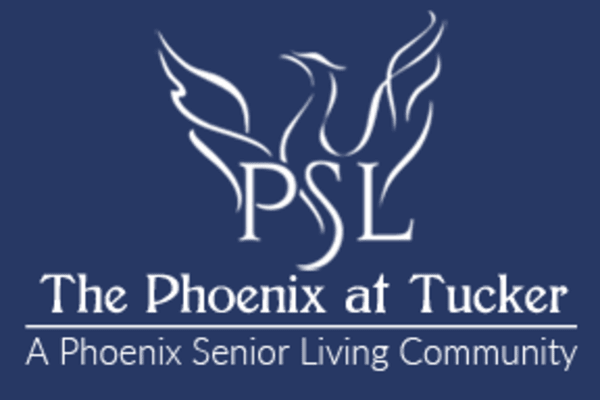 The Phoenix at Tucker can help manage the various stages of living with someone with Alzheimer’s or dementia. Our Memory Care Neighborhood is designed to simulate a comfortable home-like environment. Relevant mementos and furnishings are carefully designed to create a peaceful and familiar environment, coupled with active reminiscing daily. When living with memory loss, cultivating a successful day isn’t always easy. Our caregivers proceed with patience, compassion, and respect in all circumstances. 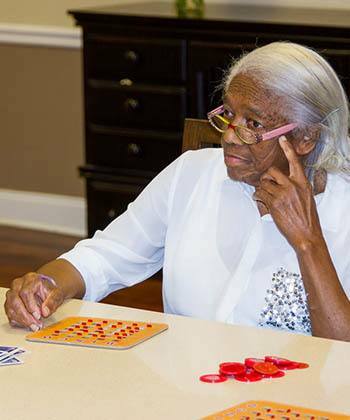 Each day, The Phoenix at Tucker enforces the philosophy that every senior can live a purposeful life – no matter his or her current stage of memory loss. Our objective at The Phoenix at Tucker is to provide specialized memory care services seven days a week for your loved one. Each day, our trained specialists work to develop individual skills and measure residents’ progress. We are staffed with Certified Dementia Practitioners (CDPs) certified through the National Council of Certified Dementia Practitioners.